Animal Party Services Maryland | Hire a Petting Zoo for your Party! There are many different ideas for interesting parties but if you are throwing a childs party outdoors, why not try out any of these animal party services in Maryland? We list mobile petting zoos, pony rides, and much more for your next party or event. These are an innovative and interesting way to make your party stand out! Welcome to Green Meadows Farm. Green Meadows Farm was established in 1964 and has its roots in Wisconsin. Over the years, the Keyes family has started farms throughout the US, including Texas and Maryland. 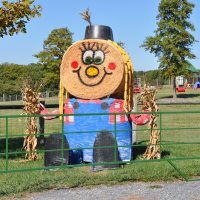 They offer farm animal party services at their location in beautiful Frederick County, MD. They offer birthday parties all year long. Parties include three hours of fun, including hay rides, cow milking and a pig race. Children will also be able to feed the goats, sheep, cows, llamas and alpacas. Celebrate inside the barn or under a festive tent. Green Meadows Farm also provides Animals2Go, their mobile petting zoo service. Visit the website for more information. Home to Wild Party Animals! 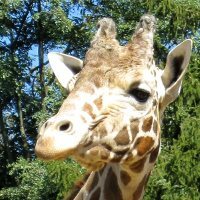 Come say hi to Jimmie the Giraffe and all of the wild creatures that call Plumpton Park Zoo home. This zoo is home to diverse types of mammals, birds, reptiles and amphibians all living in authentic habitats. Frolic with a frog, party with a peacock, chat with a chicken and much more. Birthdays at Plumpton Park Zoo are a blast. They offer the best animal party services in Cecil County, MD. They are perfect for birthdays, picnics, corporate events, field trips and even weddings. Children will be able to learn about exotic creatures, as well as animals that they can find right in their own backyard. Be sure to check out the fun events they offer year-round. Visit the website for more information.